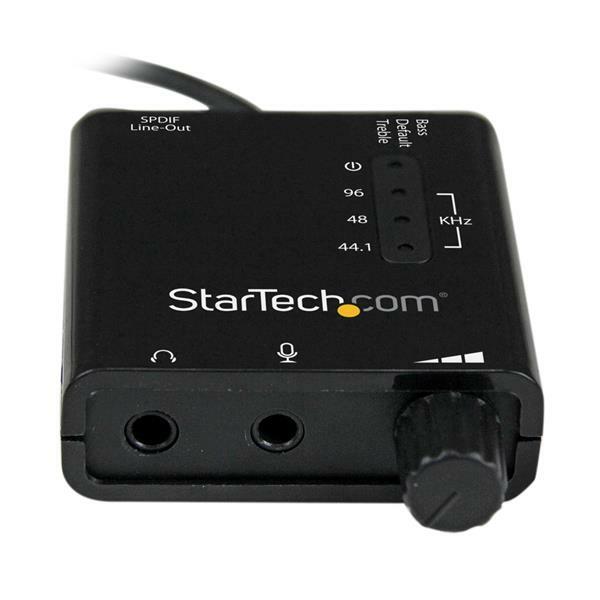 For home-theater quality sound, the USB DAC (digital-to-analog converter) offers 96KHz / 24-bit sampling rates for both playback and recording, and a 3.5mm S/PDIF port with support for Dolby® Digital 5.1 surround sound (AC3) and DTS® pass-through (Note: 5.1 surround sound is supported in Windows® only). Note: If the Run as Administrator option is not available, you might be attempting to run the installer from within the zipped file. Complete the instructions in step 2 to extract the files. 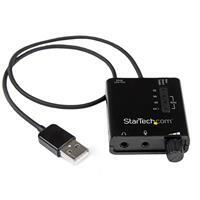 Why is my 5.1 or 7.1 surround sound not working from the digital (S/PDIF) output? The audio format of your source media may be uncompressed (lossless). 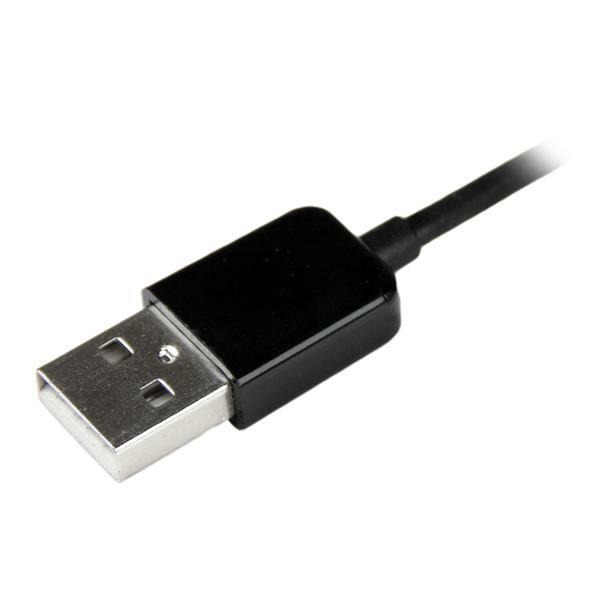 Uncompressed surround sound audio is not supported by digital (S/PDIF) connections due to bandwidth limitations. When your lossless 5.1 or 7.1 audio content is sent through the Digital S/PDIF connection, data will be lost which can result in limited 2-channel audio playback. 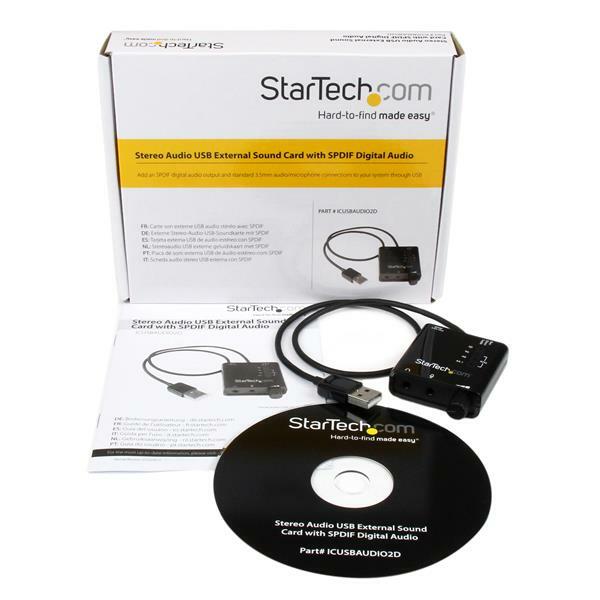 This issue is not an isolated limitation of this StarTech.com audio adapter, as uncompressed surround sound is universally incompatible with digital (S/PDIF) audio. Playback of digital surround sound is dependent on a variety of factors, including the audio format of your source media, your playback software, and your audio receiver. 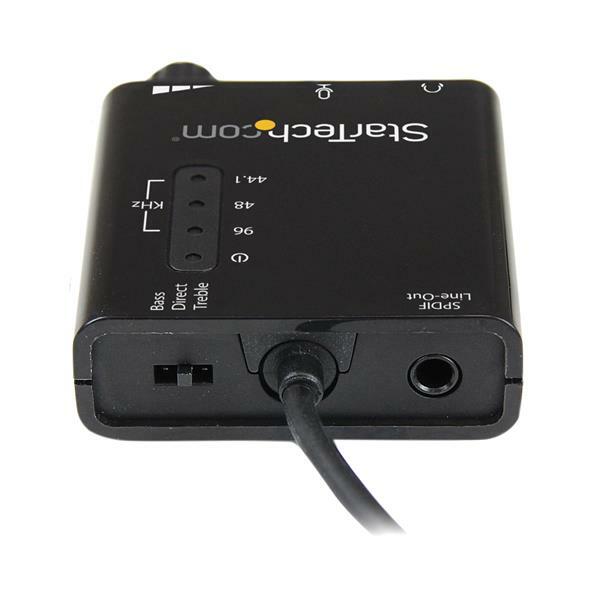 Digital (S/PDIF) channel settings are managed by the source and playback devices, and cannot be manually configured like analog audio.